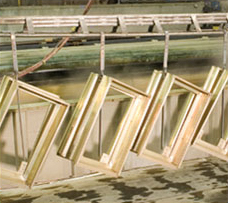 Fort Wayne Anodizing operates one of the largest and most advanced Chromate Conversion systems in the country. 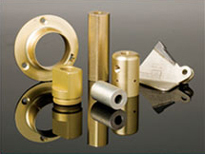 This highly sophisticated full service operation is prepared to meet or exceed the exacting needs of even the most complex designs and specifications. ISO 9001:2000 approved and certified to military specifications, our Chromate Conversion systems deliver high quality results on time and on budget. FWA's expertise includes: automotive, medical, military, weapons, marine, aerospace, culinary, robotics and electronic applications. 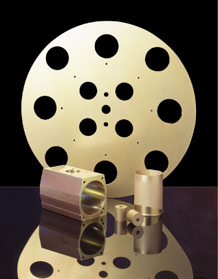 Our systems can process both long and short runs on parts as small as rivets or as large as 21' long. Capacity to Match Your Needs …three quick turnaround production lines and the flexibility to process a variety of jobs, large or small. Just Right Chemistry …from the 1 st to the 10,000 th part chemical concentrations are maintained to very high standards. No Crossover Contamination Risk …all three production lines operate independently. Each utilizing their own temperature and electronic control system.